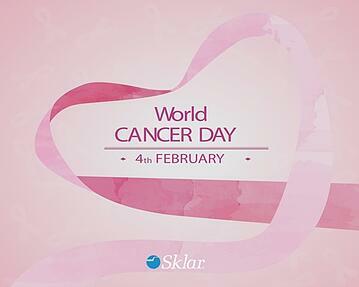 Worldwide, over eight million people die from cancer each year2. February 4 is the ideal opportunity to spread the word. The main objective of WCD is to get as many people as possible around the globe talking about this disease. With that in mind, Sklar would like you to join in on World Cancer Day by allowing survivors to share their stories in the comments below. Your story does not need to be long. If you don’t have a story, you may leave encouraging words to those who are fighting this illness. Please go to www.worldcancerday.org for more information. Cancer is the result of an uncontrolled growth of abnormal cells in the body, and develops when the body’s normal control mechanisms stop working. When these abnormal cells grow out of control they sometimes give way to a mass of tissue known as a tumor. Not all cancers develop tumors; leukemia is an example of a non-tumorous type.